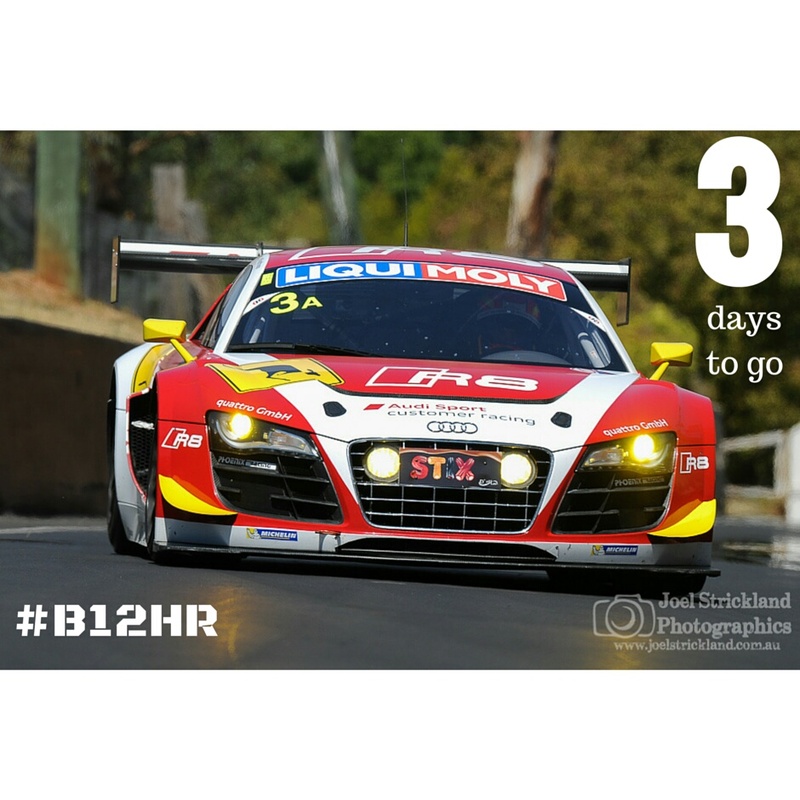 Just 3 days to go till the Green Flag drops for the Bathurst 12 Hour. 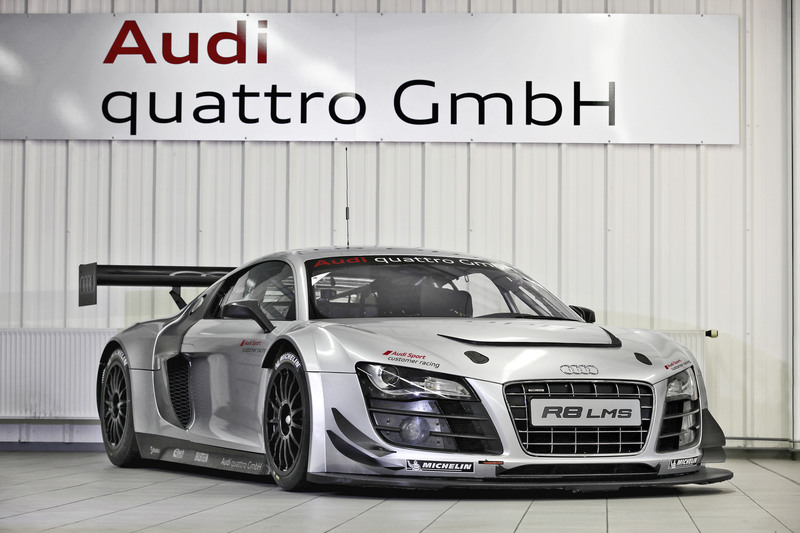 Today we feature the Phoenix Racing GmbH Audi R8 race car. I was fortunate enough to go test drive the new Audi A3 E-Tron Sportsback last week, as part of the Audi Australia drive experience. 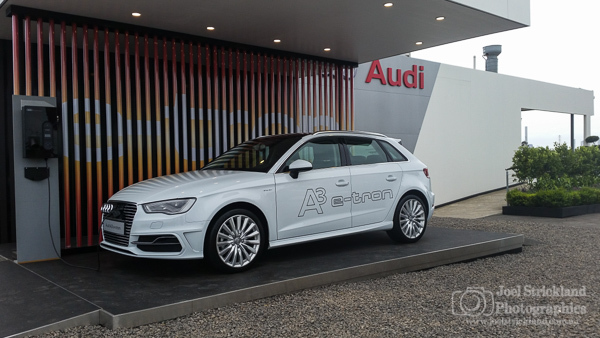 I attended the Audi Land of Quattro event earlier in the year and was impressed with the event and set up, so when I heard that Audi were doing another event, this time focusing on the exciting new A3 E-Tron, Audi’s first Plug in Hybrid (PHEV), I knew I had to go along and find out more. An Audi RS 6 signed by Gwyneth Paltrow is to be sold at a charity auction in the UK. What would you pay to own the first Audi RS 6 wagon in the UK, two months ahead of the everyone else in the que? Recently I wrote about the new VW Passat Wagon being the perfect Photographers Wagon. The first two generations of the allroad quattro were winners, and Audi hopes to build on this success with the third generation. 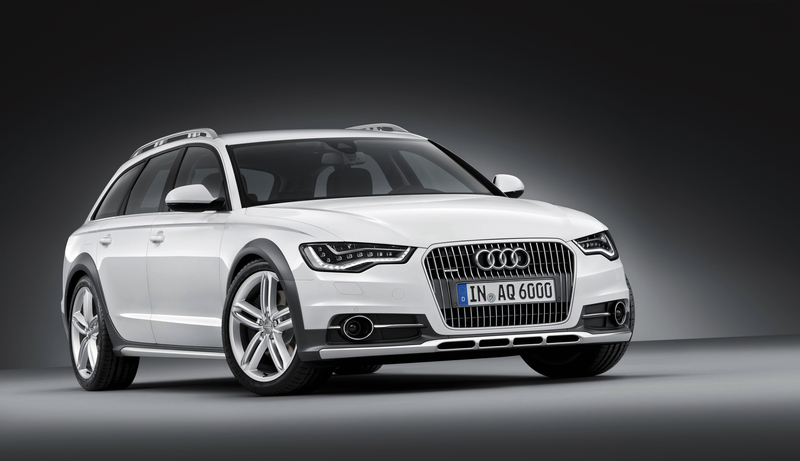 Universally talented, the new A6 allroad quattro extends the range of uses for the A6 Avant because when the asphalt ends, it just keeps on driving. Performance has improved and fuel consumption has been reduced by as much as 20 percent compared with the previous model. “This is one of the most emotional moments in our heritage work for AUDI AG – we have come full circle,” says Thomas Frank, Head of Audi Tradition. A few weeks ago, the car manufacturer was able to repurchase an extremely rare Auto Union Silver Arrow racing car – consisting largely of original parts. It is the Auto Union twin-supercharger Type D dating from 1939, and is one of the two legendary “Karassik cars”. 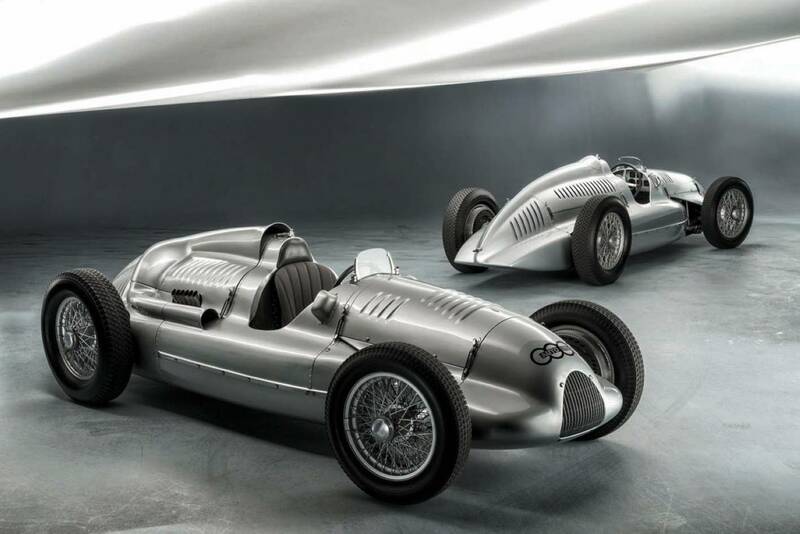 AUDI AG now owns three of the five Auto Union racing cars that can claim to be original. 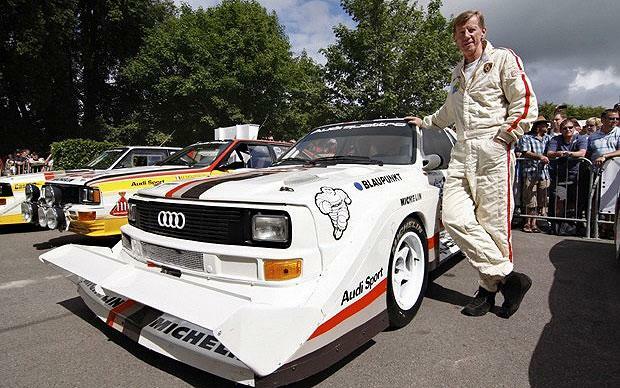 25 years after Walter Röhrl drifted up Pikes Peak in the Audi Sport quattro S1 and set a record that still stands today, the two greats will be reuniting in 2012. On July 8, Röhrl will be driving in the famous hill climb, also known as the Race to the Clouds, for the second time. Spectators in the U.S. state of Colorado will be able to relive a milestone in the history of Audi Sport when the Rally Driver of the Century takes the wheel of the original Audi Sport quattro S1. Beginning today, Audi Tradition is providing a foretaste of the famous hill climb at Techno Classica, the world’s largest trade show for classic cars, in Essen. Walter Röhrl will also be on hand for an autograph session. On July 11, 1987, rally legend Walter Röhrl stepped on the accelerator of the nearly 600 hp Audi Sport quattro S1 and climbed the mountain in just 10 minutes and 48 seconds. No driver had ever been faster up the unpaved dirt road. It was a milestone in the history of the oldest hill climb in the United States and also a milestone for Audi. Faster times were recorded later, but only after paving of the course, which has now been completed, had begun. 25 years after his victory, Walter Röhrl is taking the “Monster” up the mountain for the second time on July 8. Not under race conditions this time, but it will still be challenging enough. The course snakes through 150 curves over nearly 20 kilometres and finishes at the 4,301 metre summit. But not only the original rally car will be on display, the champion himself will also be there. Walter Röhrl will be at the Audi stand for an exclusive autograph session on Sunday, March 25. Racing enthusiasts and Audi fans will have the opportunity to get to know the rally legend from 2.00 to 3.00 p.m.
Ingolstadt, December 20, 2011 – The new Audi R8 LMS ultra will also be competing in the FIA GT1 World Championship next year. Two vehicles of the brand new customer sport race car will be independently fielded by Team WRT in the world’s highest-calibre GT racing series. Successful ascent: when Audi in the 2009 season initiated its customer sport programme with the R8 LMS for the GT3 class, this class was one of four major GT categories. Meanwhile the GT3 is not only making its mark nationally but increasingly on an international level as well. Following the inception of a FIA European Championship for GT3 models in 2006, there will also be a FIA GT1 World Championship exclusively held for GT3 vehicles in the future. Consequently, the Audi R8 LMS ultra will be able to compete in the world’s top racing class for GT vehicles and, in the 2012 season, fight for a world champion’s title of its own for the first time. According to the wishes of World Championship promoter SRO each team is to compete with two cars of a single vehicle model from a single brand, respectively. While in most GT3 racing series professionals and amateurs share a cockpit, only professional racers compete in the GT1 World Championship. WRT is planning to select and announce its drivers before the end of December. The details on the format of the competition will be approved by the FIA shortly. It is expected that there will be ten worldwide events, each featuring two one-hour races. A provisional race calendar has already been established.